Recently brought out of the vault for display in Gallery #5 is a portrait of Margaret, Lady Tufton (1636-1687). A beauty of the English court, she was the granddaughter of Edward, 1st Baron Wotton, a diplomat and court official for Queen Elizabeth I.
Margaret is shown in her elegant silk gown (which is actually an informal dress because of the loose, flowing fabric and lack of lace collar and cuffs; it shows a significant amount of bare skin!). She has beautifully arranged curls and wears expensive matched pearls. To accentuate her loveliness, she holds delicate roses in her lap. When this painting entered the Milwaukee Art Museum’s collection in 1956, it was heralded as a masterpiece of the Flemish painter Anthony van Dyck (1599–1641). Van Dyck was one of the greatest portrait painters of all time. He influenced generations of later portrait painters, including Thomas Gainsborough (English, 1727-1788). Using brilliant brushwork, elegant compositions, and luscious textiles, he gives his subjects an easy aristocratic air while still making it clear that they are beautiful, virtuous, and powerful. But now the artist of this work is listed as “Anthony van Dyck and Studio.” What does this mean? The first thing that you may be surprised to learn is that there is more than one painting like ours. These others can be found in English private collections (Lord Bagot and Lord Riblesdale) and at English country home collections (Goodwood and Blickling). Variations of the painting are also at Tredegar House in South Wales and in the Royal Collection. Why are there so many? 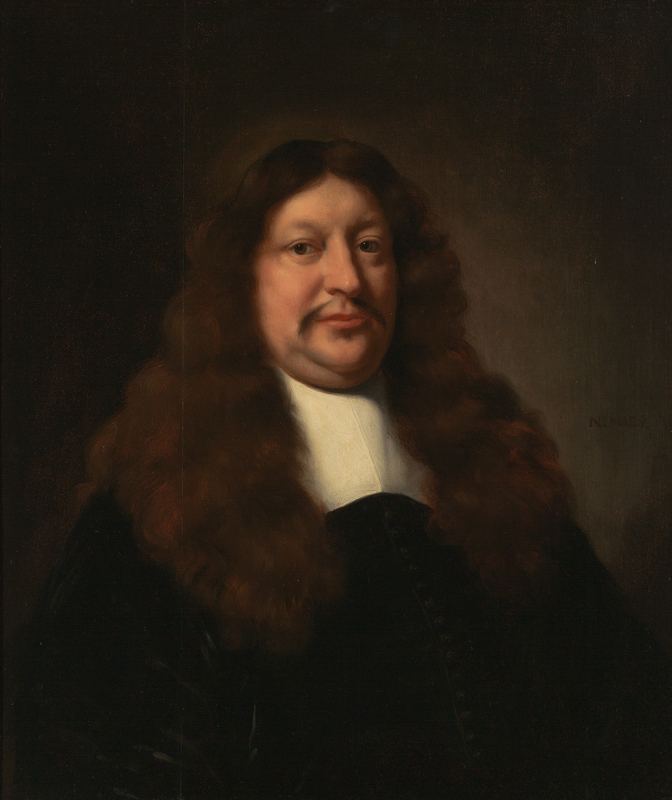 During the 17th century, it was common to make copies of paintings of famous personalities. For instance, a noble gentleman would request a copy of a portrait of the king in order to show his support of the court. It was a good political move, especially if other supporters of the king—or the king himself—decided to visit. Women of the court were also reproduced, with the added benefit that their beauty was a welcome addition to the walls of a country home. This means that for important painters of the time, there was a constant demand for their paintings. As court painter to Charles I, Anthony van Dyck did what other famous artists had to do: he formed a studio that employed many young artists to help him keep up with the demand. Remember, not only did he have new commissions (he painted almost 20 portraits of Charles I alone), he also had to produce copies of many of these works. For instance, the equestrian portrait of Charles I in the Royal Collection has dozens of variations in copies (including, for you Downton Abbey fans, one large version that is now in the dining room of Highclere Castle, where the show is filmed). For the original version of a portrait, Van Dyck had the subject sit for him for an hour so that he could make a preliminary sketch and paint the face. Then, once the sitter left, the rest of the painting, including the body and the background, would be filled in by Van Dyck’s studio assistants, under his direction. After they finished, Van Dyck would add finishing touches to the whole piece to make sure it was up to his standards. This process allowed him to finish about one portrait a week. The young artists who worked as assistants would thus learn the painting trade in these studios. In fact, Anthony van Dyck started his career in the studio of the great Flemish painter Peter Paul Rubens (1577-1640). Even less well-known artists took on apprentices to help them with the work for painting. As you can imagine, copies of the original painting have varying degrees of handling by the master artist. It has become the career of some art historians to differentiate the original painting from the copies, and to distinguish how much of the copy was done by the master. It may surprise you to know that the consensus is that the original painting of our Lady Margaret is missing! Art historians tend to agree that the work is only known through its copies, of which the Milwaukee version is the best in quality. We know all of this because some art historians spend many years compiling a book called a catalogue raisonné. A catalogue raisonné attempts to identity and document all of the known artworks by a particular artist. Margaret, Lady Tufton is documented on page 641 of the Van Dyck catalogue raisonné. Of course, artists sign their paintings, so that should make finding all of the works by an artist easy, right? Unfortunately, artists don’t always sign their works. And sometimes the signatures aren’t always correct—sometimes they are added later on to “confirm” the known artist of a work or to raise the status of an anonymous work. Assigning an artist to an artwork that is not signed is called attribution. Sometimes you’ll see object labels that say “attributed to”, which is a sign that the curator doesn’t know for sure if it is that artist, but has found enough evidence to suggest that it is. Coming up with attributions requires a lot of research into the subject matter and looking at a lot of paintings. An art historian develops an “eye” for the artist that he or she is studying. In other words, by studying enough paintings, you can understand the style of an artist so well that by looking at a painting you can say, this looks like a painting by Van Dyck. This is what is called connoisseurship. In some ways, it’s similar to a radiologist looking at an x-ray and saying, here’s where I see a tumor. Or a botanist looking at a leaf and saying, this came from this type of plant. Of course, any expert must take in all the evidence before making a decision. For art historians, this includes the painting’s style (is it painted like other works known to be by that artist? ), written documentation (such as inscriptions and letters), and provenance (who previously owned the artwork). And now, there is a host of technological assessments that can be made, such as x-rays, UV fluorescence, and analysis of paint and canvas. Of course, technological testing is not always in the realm of possibility for every painting, since it can be costly. And sometimes these new tests do not come up with a conclusive answer, anyway. Take, for instance, one of the most famous artists in history, Rembrandt. In the over 400 years since Rembrandt died, many paintings were attributed to him. Not only did he have many talented students who adopted a similar style, but other Netherlandish painters copied his style because the public liked it. This problem is something that a catalogue raisonné hopes to clear up. Rembrandt is such an important artist that a special group of scholars began something called the Rembrandt Research Project, which set out to thoroughly study the evidence for every painting considered to be Rembrandt–to come up with a catalogue raisonné. As you can imagine, this process isn’t always neat and tidy, especially when there is money involved. And Rembrandt isn’t the only victim of this problem. Caravaggio (Italian, 1571-1610), Leonardo da Vinci (Italian, 1452-1519), and Titan (Italian, ca. 1488-1576), among others, have had their share of controversy, too. Although there is some sense of “demoting” paintings by assigning them as studio works, this does not necessarily mean that the paintings are awful. Remember, Van Dyck started in the studio of Rubens. Rembrandt’s studio produced many fine artists, such as Govaert Flinck, Ferdinand Bol, and Nicolaes Maes, left. You can find examples of paintings by all of these artists hanging in the same gallery at the Milwaukee Art Museum as Margaret, Lady Tufton. Now that you have an idea of what attribution means, let’s return to the Milwaukee painting and see what close looking will tell us. By considering the painting visually, you will see why we have added “and studio” to the painting. Get your connoisseurship skills ready! In general, in any good quality portrait, the face should be the best part of the painting. Lady Margaret has a nicely modeled face with porcelain skin framed with fashionable dark curls. The contrast of skin and hair is quite effectively painted, and the shimmer and weight of the pearls picked out of her hair and resting on her neck are also finely done. Overall, Lady Margaret’s head holds up well to inspection. It’s perhaps not the luminescent application of paint that Van Dyck is famous for, but still very attractive. As you look away from Lady Margaret’s head, you can see whythe “and Studio” portion of the attribution is necessary. In general, the paint is not as well-handled, and the composition is awkward. Van Dyck took great delight in painting different textiles. Silks, velvets and laces come alive in his paintings, which is clear in any of the three comparative portraits that I suggested above. His silks, in particular, are bright and shiny. The voluminous folds of Lady Margaret’s dress effectively show her wealth, and the peaks of white fabric in her pinned slitted sleeves are depicted with detail, but overall the silk feels heavy-handed and stiff. And although our sitter fits onto the canvas, she feels a bit wedged into the frame. The composition is tight, particularly on the left side where her hand almost doesn’t make it in! And the minor drapery behind her is almost an afterthought. Van Dyck himself would have certainly made more of it, to make it a powerful symbol of Lady Margaret’s elegance and status. So, we have a good painting, but it is clear that this is not a painting by Van Dyck’s hand. Because it is the best quality copy in existence and most likely made during Van Dyck’s lifetime, however, we have not removed him completely from the attribution. Although sometimes reattribution can be disappointing, it can also spawn fascinating projects. In 2009, the Metropolitan Museum of Art reattributed a painting to Velázquez (Spanish, 1599–1660) and did a special exhibition to explain the discovery process. The recent traveling exhibition Rembrandt in America explored the issue of attributions. Some museums are even delving into the issue of authenticity directly, with exhibitions such as Close Examination at the National Gallery of London. And here at the Milwaukee Art Museum, our portrait of Margaret, Lady Tufton serves as a great case study about how we continue to fulfill our mission through continued research on the collection and encouraging visitors to look carefully—and thoughtfully—at our artwork. Make sure you stop by to see Lady Margaret next time you are in the galleries so that you can think about the attribution of the painting on your own! 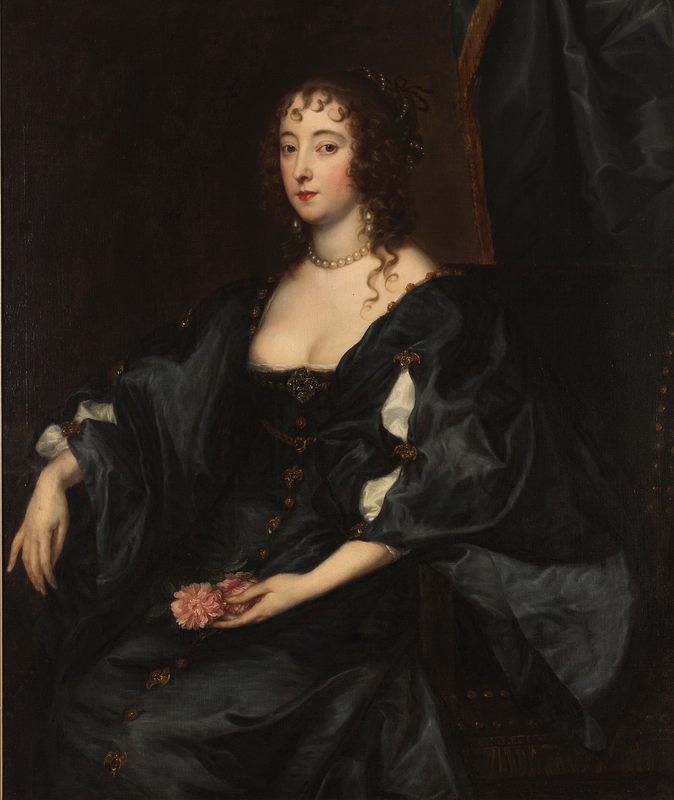 This entry was posted in Art, Behind the Scenes, Curatorial and tagged Anthony Van Dyck, attribution, Behind the Scenes, Margaret Lady Tufton, portraits, research, Van Dyck, Women in art. Bookmark the permalink. Do you know anything about penrose painting #501?